Q? 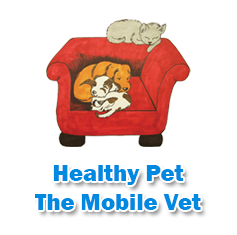 Does Healthy Pet the Mobile Vet make house calls? Yes, if you are within our service area. 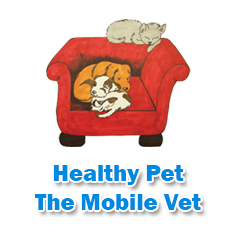 Just call us for an appointment, and we will see your pet in your home or in our unit right outside your door. Q? Why should my pet be examined every year? Yearly exams are important to detect problems early. In most cases, the earlier a condition is caught, the easier it is to treat. Exams are also crucial in preventing the spread of diseases from animal to animal and animal to human. Q? Can my pet have surgery done at our home? YES. Many different surgeries can be performed in the surgery room inside our mobile clinic. Surgeries include spays, neuters, dental procedures, and mass removal. Q? Do you offer pet grooming services? No, we are strictly medical.